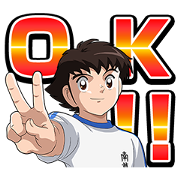 Home » GMO Internet Inc.
Smartphone game Captain Tsubasa Zero now has its own LINE stickers! Liven up your chats with Tsubasa and his friends today. Friend Captain Tsubasa Zero’s official account to get this set for free.